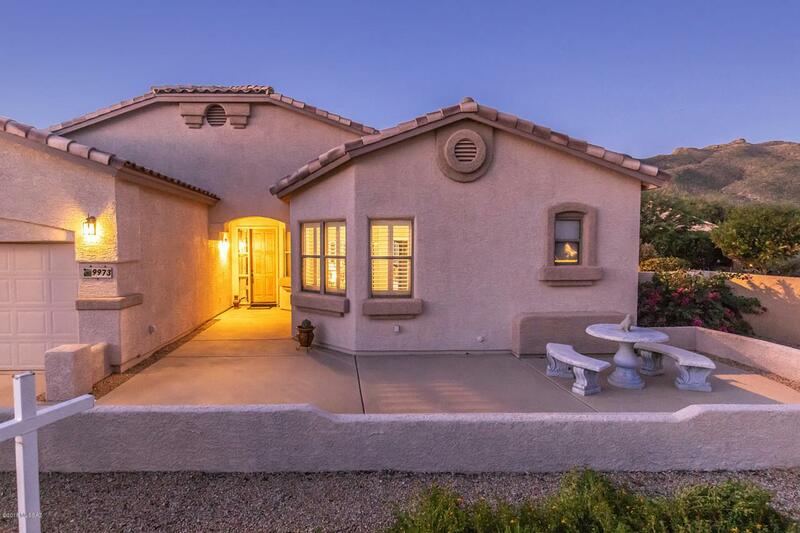 This pristine Entrada at Sabino Springs 2499 Sq. 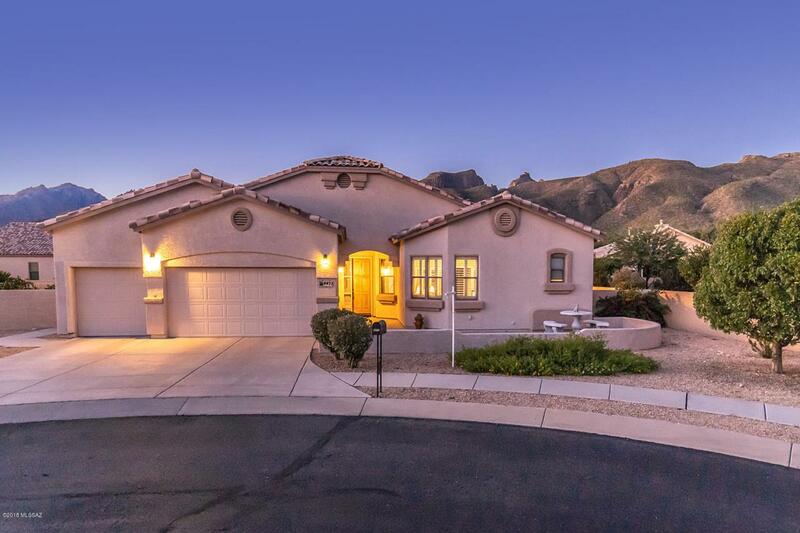 Ft., 3 Bed plus Den home is perfectly sited on cul-de-sac lot in gated AZ National Golf Club. Home boasts all wood flooring in bedrooms, 3 full baths, chef's kitchen with large Zodiac Quartz Island, double ovens, SS refrigerator and eating nook. Newer carpet in living room, family room and dining area. 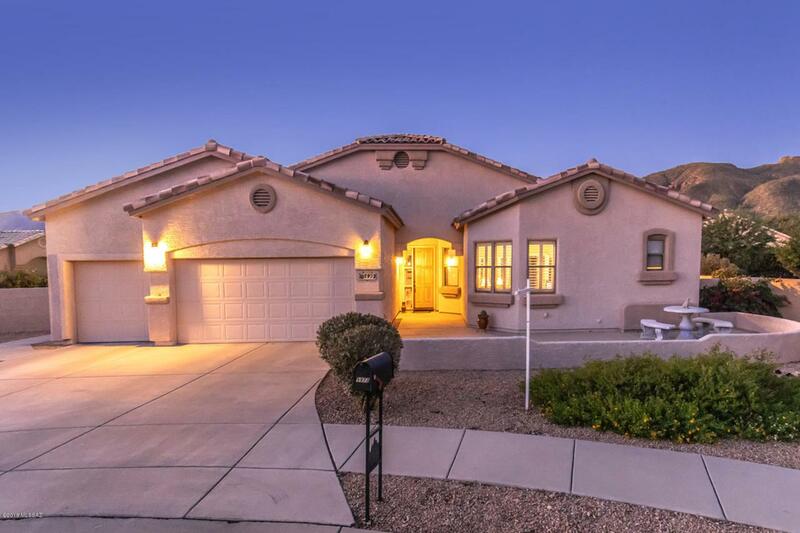 Spacious master suite w/ private door to covered patio. 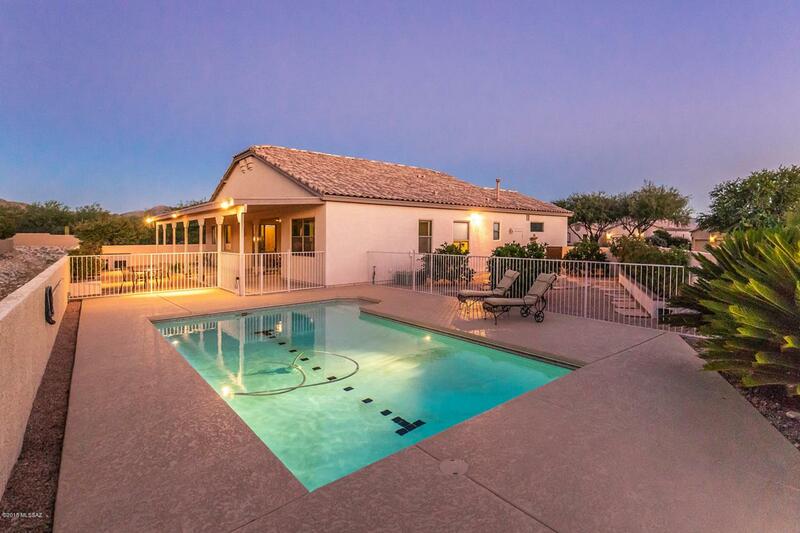 Entertain family and friends in backyard w/ extended covered patio, built in BBQ, w/ unobstructed views of Catalinas, bocce 1/2 court, lap/game pool w/ tile lane, and newer cool decking. Enjoy side yard w/ outdoor fountain, rose garden and citrus trees. Wonderful built in cabinets in 3 car garage. Loads of community amenities come w/ this home!